Since 1999, over 100,000 Hyperguard devices have been deployed by retail chains worldwide to detect booster bags used by habitual thieves. This proven solution, patented and made by our partners at Alert Systems in Denmark, not only successfully detects foil-lined bags used in shoplifting, but thanks to its advanced algorithms it virtually eliminates false alarms from moving doors or shopping carts. Hyperguard is available as a standalone pedestal, or it can be integrated into an EAS system, adjusting itself automatically to either AM or RF EAS environment. Hyperguard uses Cat5e cables for easy installation, and can push power from the controller to up to 11 antennas. The hardware is made in Europe of high quality materials. A booster bag is a shopping bag lined with tin foil, used by shoplifters to steal merchandise without getting detected by the store’s anti-theft (EAS) systems. The shoplifter brings the bag into the store, and fills it with merchandise. The merchandise often has anti-theft tags attached to it somewhere that would normally get detected by the anti-theft antennas at the store entrance, triggering an alarm. But the tin foil lining blocks the signal from the antennas, allowing the shoplifter to carry out the theft unnoticed. Hyperguard prevents this scenario by detecting the booster bag itself as soon as the would-be thief walks into the store. Detects metal detachers and catches the shoplifters in the act. 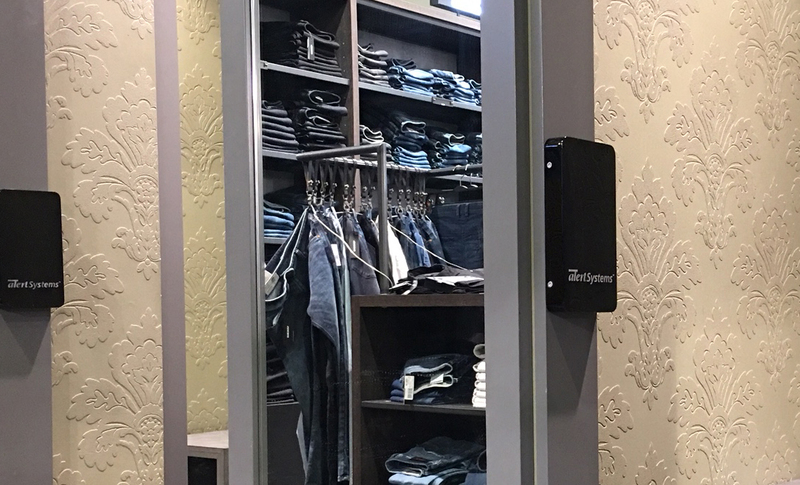 Apparelguard uses a patented double-detection system to alert store staff that an illegal detacher is present in the store. 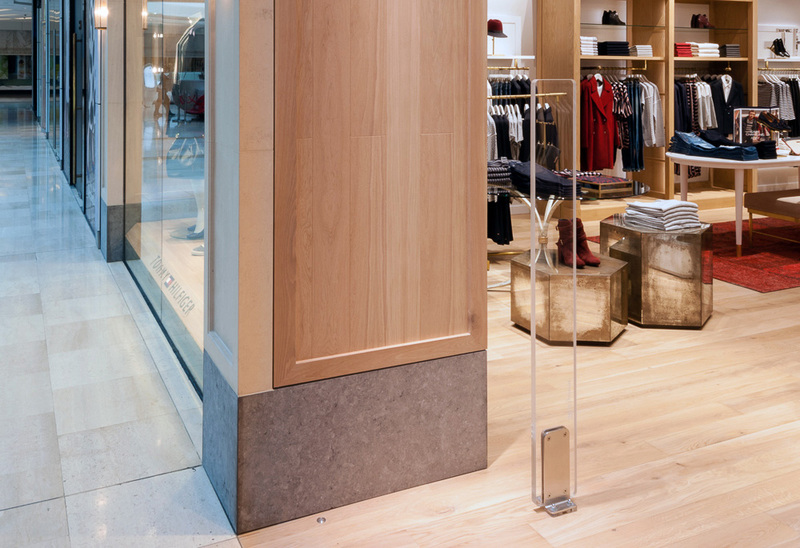 Typically installed in the fitting rooms, the Apparelguard senses magnetic motion coming from an EAS tag being removed by the shoplifter, giving the store staff an opportunity to prevent the theft while the merchandise is still in the fitting room, far from the store exit. Apparelguard is easy to install and maintain, and its software allows for tuning to different types of magnetic detachers, providing wide protection. It uses 3 dry relay contacts as alarm outputs, for light, sound, pager or CCTV. Additionally, API integration with an existing EAS controller is also available. Apparelguard uses Cat5e cables for easy installation, and can push power from the controller to up to 11 antennas. The hardware is made in Europe of high quality materials. How are magnets used in shoplifting? Retailers that use EAS (anti-theft) tags on their merchandise, need to remove them at the register when an honest shopper completes the purchase. Typically, a specialty magnetic detacher is used for this purpose, which the retailer gets from their security technology partner, like CONTROLTEK. Thieves sometimes obtain these detachers by stealing them or by buying them from irresponsible sellers. Armed with a detacher, a shoplifter can remove the security tags while in the store, then walk out without triggering the anti-theft alarm at the door. The Apparelguard can prevent this problem by detecting the illegal magnets in the fitting rooms, where the shoplifters usually try to remove tags.